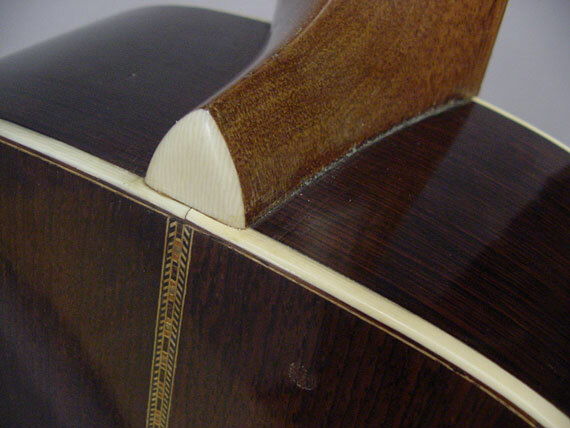 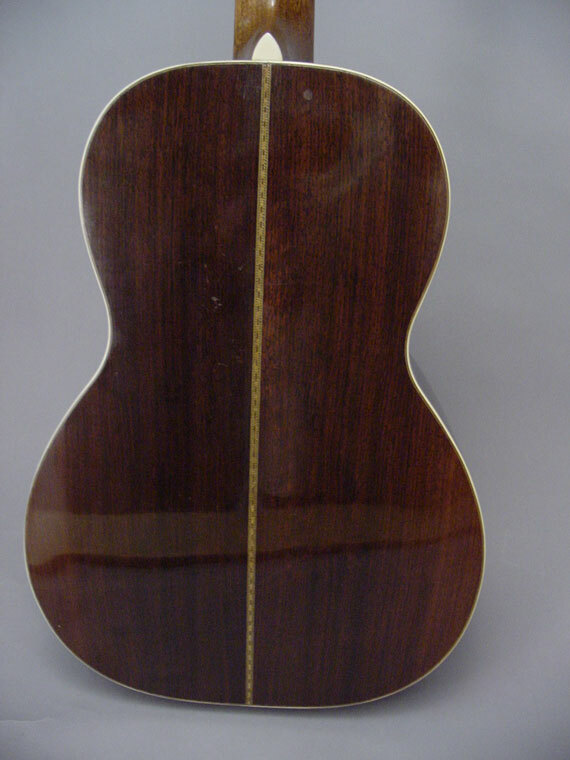 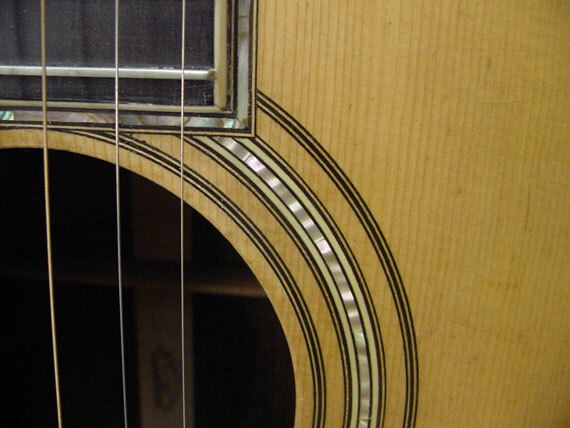 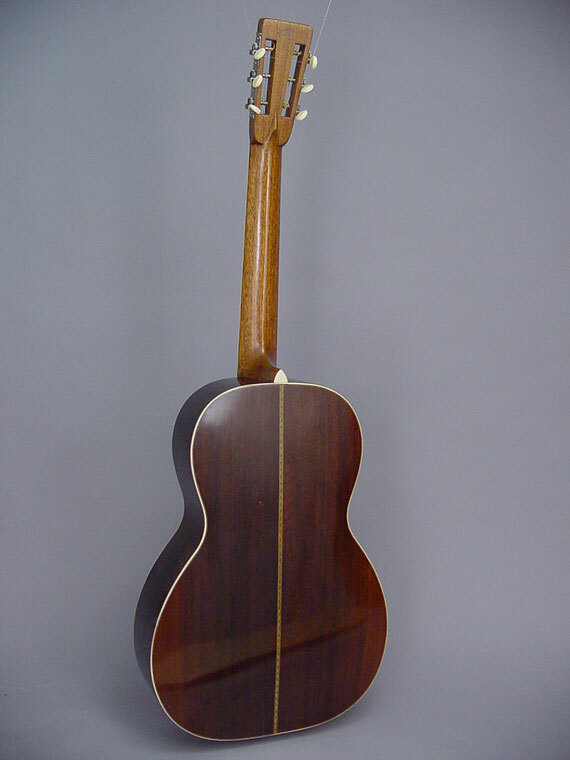 Next-to-the-top-of-the-line was the Style 42, with its abalone trim around the face, soundhole and fingerboard end. 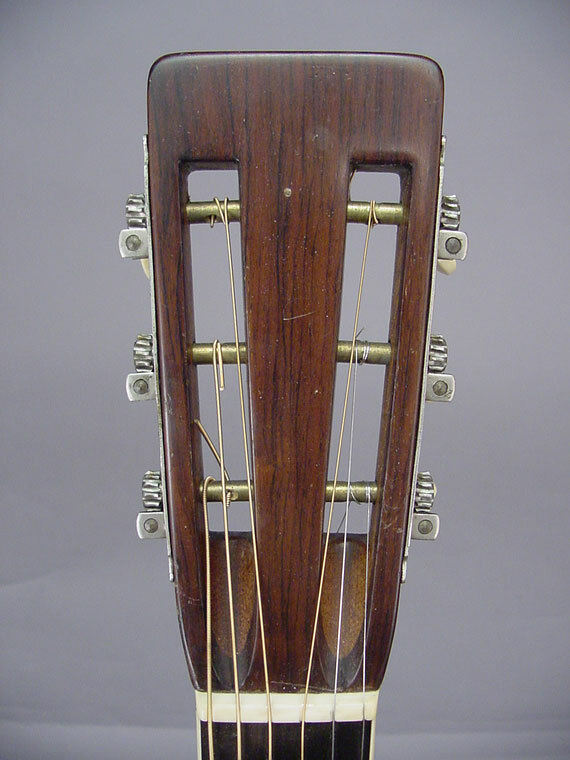 Only the Style 45 was fancier, having all the sides and back trimmed with pale abalone strips, and abalone inlay on the peghead. 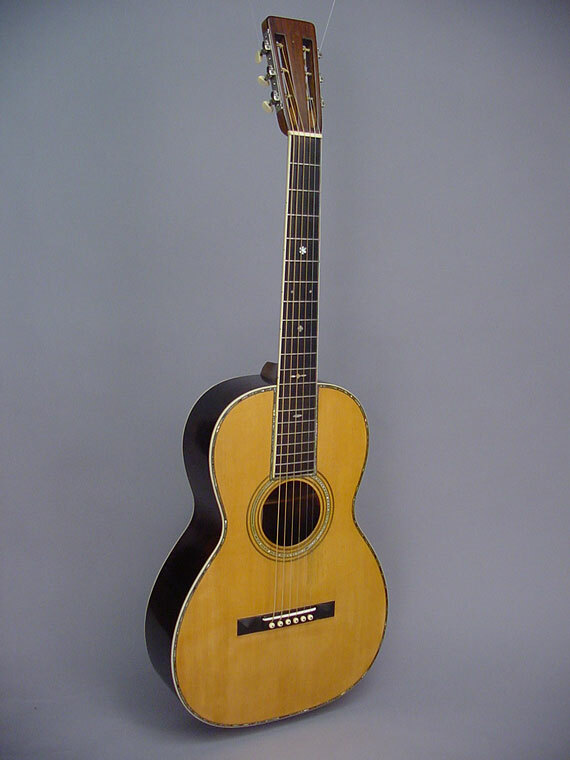 Starting in the 1920s Martin made some guitars with slightly heavier bracing for steel stringing. 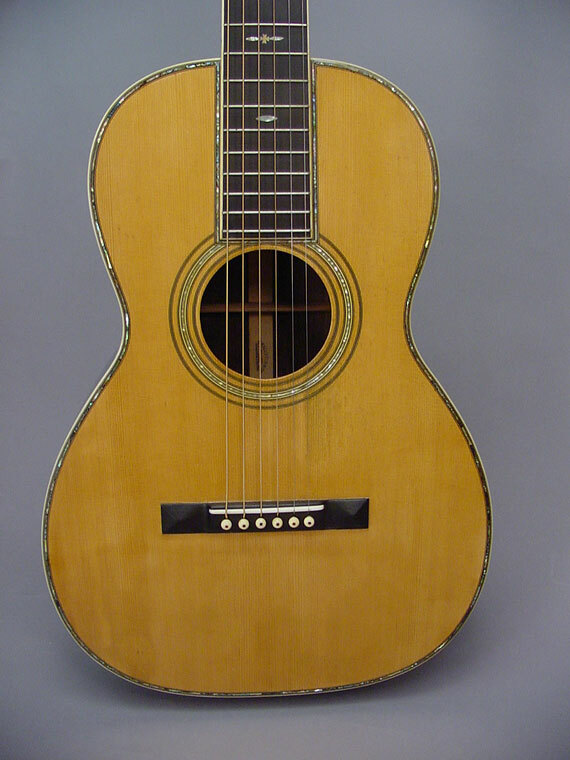 This is such a guitar, and after 80 years it's still going strong. 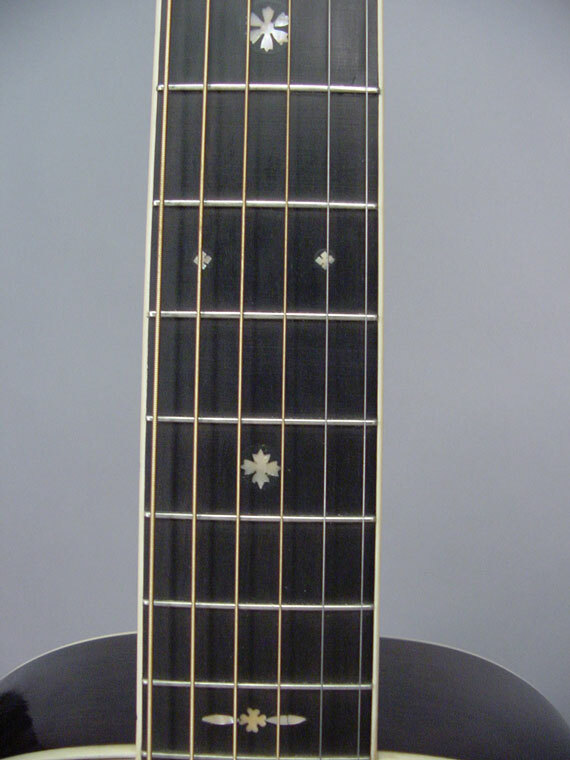 This is a remarkably fine sounding fingerstyle guitar and regular light gauge steel strings give it a big voice.